A long journey to a cold and blustery Pittodrie seemed like a fine way to see out the festive season before returning south. 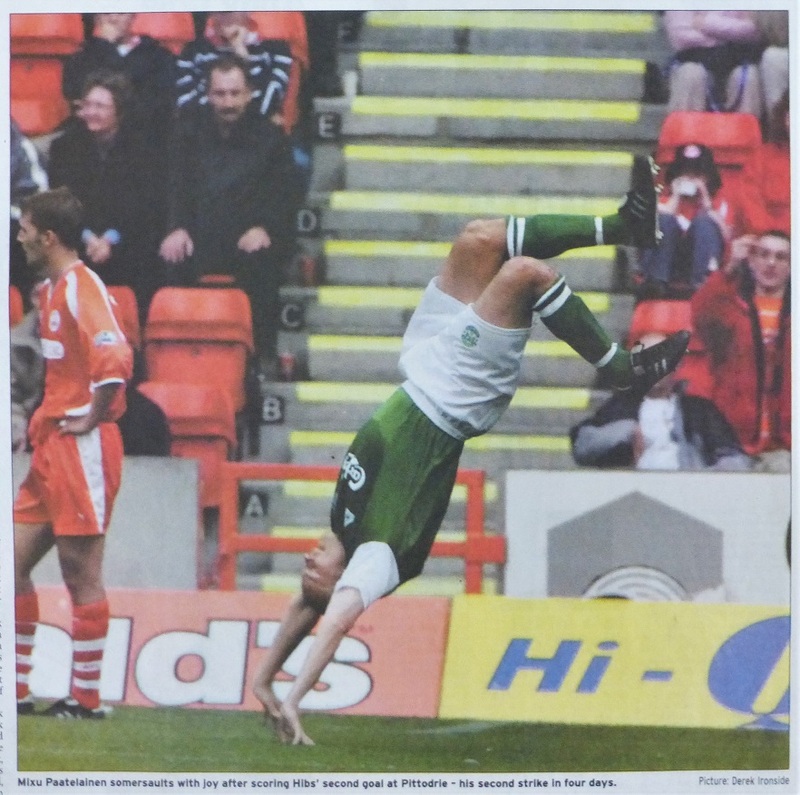 Not unusually however, Hibs turned in one of their inept and spineless performances, managing to look as if they never even expected to get anything out of this match. 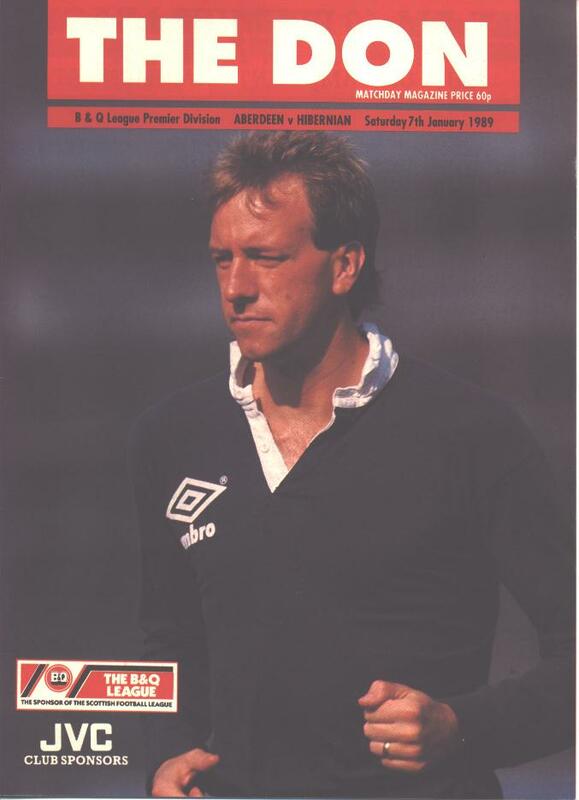 Robert Connor ran the show for Aberdeen, and I have a vague memory of Charlie Nicholas getting one of their goals, but the rest of my recollections were blown away off the top of the Beach End by a freezing sea breeze. The Dons programme carried a feature on Aberdeen’s own testimonial boy, Alex McLeish, still looking incredibly fresh faced as you can see. Full feature below. 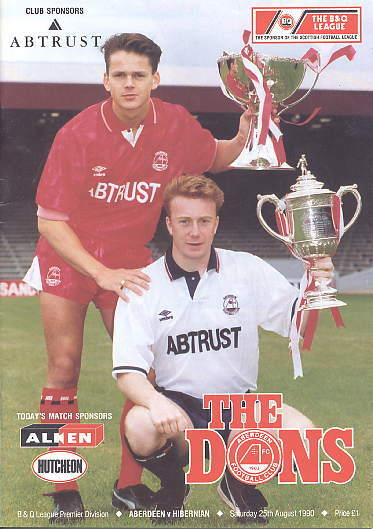 Categories: Programmes | Tags: Aberdeen, Alex McLeish, Charlie Nicholas, Pittodrie, Robert Connor | Permalink. 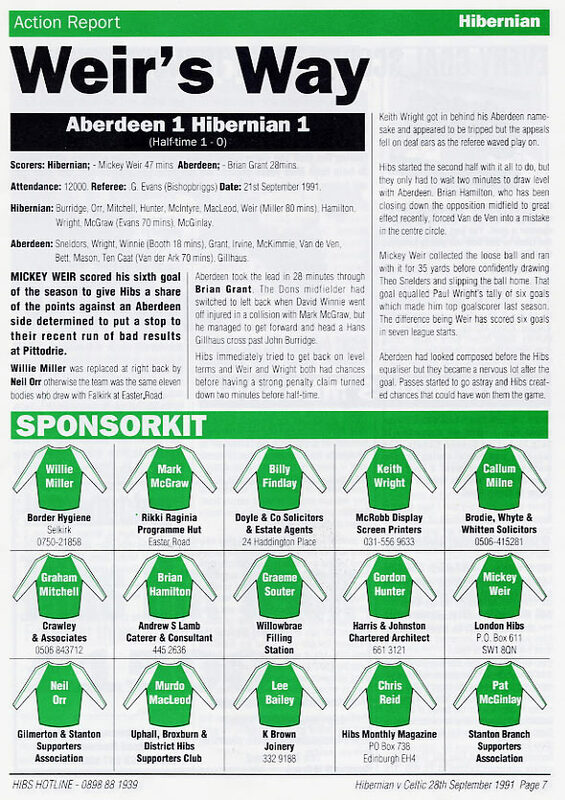 Categories: Programmes | Tags: 1991-92, Aberdeen, Pittodrie | Permalink.